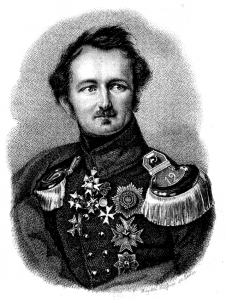 Prince Hermann Ludwig Heinrich von Pückler-Muskau was born Count Pückler, on 30 October 1785. He became a prince in 1822, he was a German nobleman, who was an excellent artist in landscape gardening and wrote widely appreciated books. These were mostly about his travels in Europe and Northern Africa, he published under the pen name of “Semilasso”. He died 4 February 1871 in Branitz, Germany. 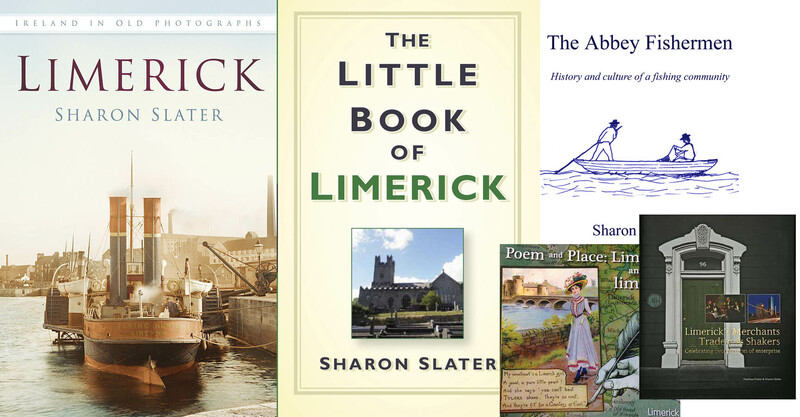 In Limerick he stayed at the Moriarty Hotel which was at 7 George Street and own by Eliza Moriarty. The Limerick Independent Club was founded by Thomas Steele in 18 August 1828. The rules of the Limerick Independent Club were drawn up in the Canal Hotel with Thomas Steele, chairman, Thomas Moloney, secretary. The following is a local news report of the Prince’s visit to Limerick. “Pückler-Muskau” by Auguste Hüssener, 1837. His Highness Prince Puckler Muskua, now on a tour through Ireland, arrived at Moriarty’s Hotel, Limerick, on Saturday last. The following day and yesterday, he visited all the public Institutions, and the different places of worship. He also went to see the stone upon which the memorable Treaty of Limerick had been signed. The Prince is a relative of the Bonaparte family, and a Major-General in the Prussian service. His sentiments are well known to coincide with every principle of freedom. Several Members of the Limerick Independent Club, and of the Order of Liberators, were introduced to him. He expressed, at the interview, his regret, that so fine, and in his own complimentary term, so great a people should be retarded from taking that station which they should, from the qualities they possessed, properly assume. A deputation from the Limerick Independent Club, waited on his Highness, yesterday, with a Card, conferring the privileges of an honorary Member of the Club, and also with an invitation to the public dinner to be give on Monday next to our distinguished Countrymen, Thomas Steele, and O’Gorman Mahon Esqrs. His Highness, after expressing his thanks, accepted the compliments – but the latter, conditionally, as he was at present going on to Kerry, it may be impossible for him to return. He, however, assured the deputation that he would endeavour to be present on an occasion from which he was certain of deriving so much gratification. His Highness left town yesterday on his way to Derinane-abbey, the seat of Mr. O’Connell, M.P.